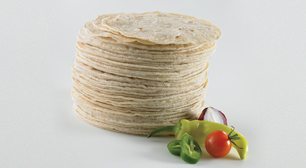 Our same premium white corn tortillas, now available in a value-cut option. These ready-to-serve restaurant-style chips are cut directly off the sheeter creating a more uniform appearance than the authentic, hand-cut version. 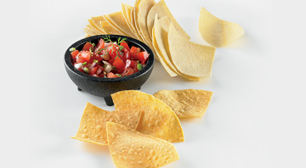 Ideal for appetizers such as nachos or served with a side of zesty salsa or queso dip. White Corn Flour, Water, Contains 2% or less of the following: Propionic Acid, Sodium Hydroxide, Methyl and Propyl Parabens, Lime.